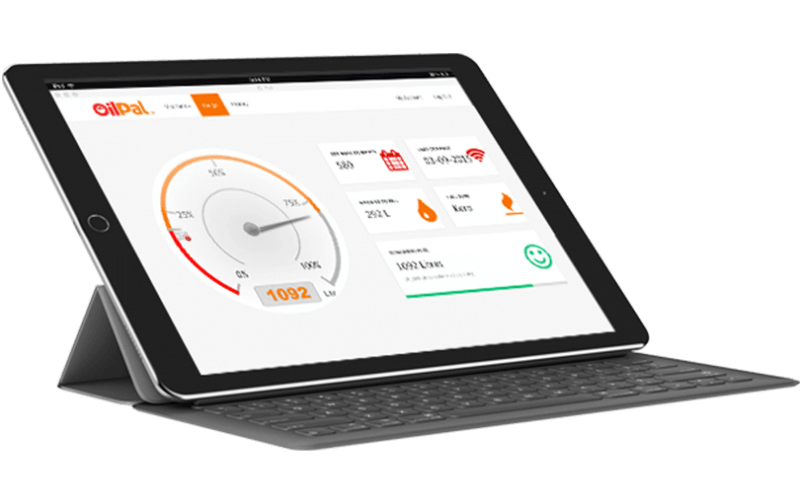 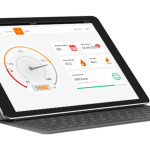 OilPal® allows heating oil users to really take control of their oil tank. 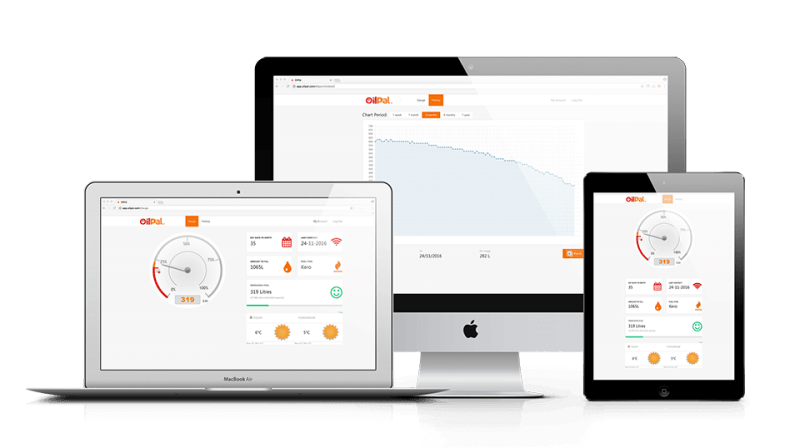 On any web enabled device, OilPal® will simply show you the approximate volume of heating oil left in your tank along with a handy estimated days to run out. 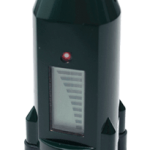 OilPal® Ultrasonic Tank Sensor is fitted to the oil tank. 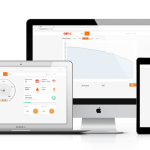 OilPal® Ultrasonic Tank Sensor wirelessly sends data to OilPal Modem indoors. 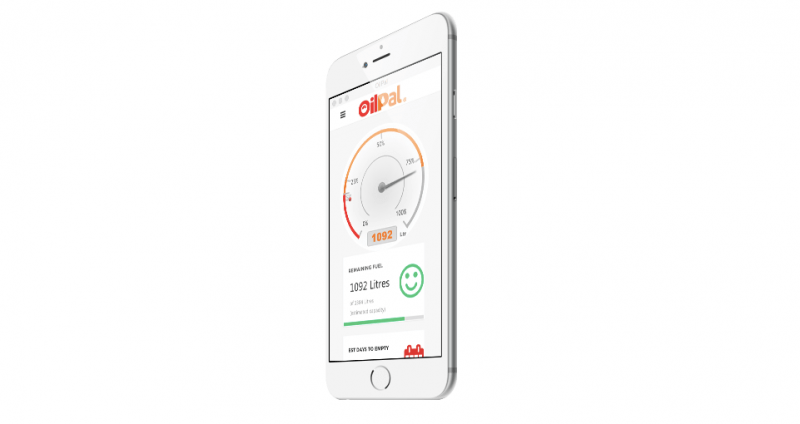 OilPal® Modem sends data to your Smart Phone device or PC/Mac.